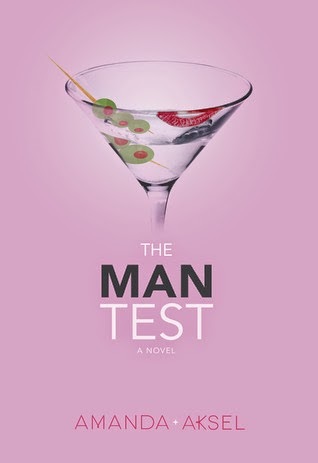 I went into reading Amanda Askel’s The Man Test expecting a humorous chick lit novel that would be fun to read. The book was funny, sure, but it was also a little frustrating and not as well written as I would have liked. My biggest issue with this book was the way it was written. It wasn’t that there were grammatical errors or anything like that. It was that there was an awful lot of telling going on. I’ve heard many authors talk about how hard it is to “show, not tell” and I’m sure I wouldn’t be able to do much better, but I felt like the novel could have benefitted from more dialogue and more descriptive language. Sometimes I felt like there was a lot of info dumping going on and it was really frustrating. Not only was it boring to read but it didn’t really allow me to connect with the characters. I was just being told a bunch of information; I wasn’t involved in the story. Speaking of characters, Marin drove me up the wall. I'm sure finding out your fiance is cheating on you is upsetting and I probably wouldn't handle it well either but I felt like Marin took things to an extreme. Especially considering she's a marriage counsellor. Marin just did not handle things well at all and I, in turn, could not handle reading about her ridiculous escapades. So, in the end, The Man Test was not for me. According to the Goodreads page, I'm in the minority as many others seem to adore Amanda Askel's novel. I wish I had more to say about this book but it just didn't connect with me as I had hoped. Thank you to Elephantine Publising for our review copy. All opinions are our own.